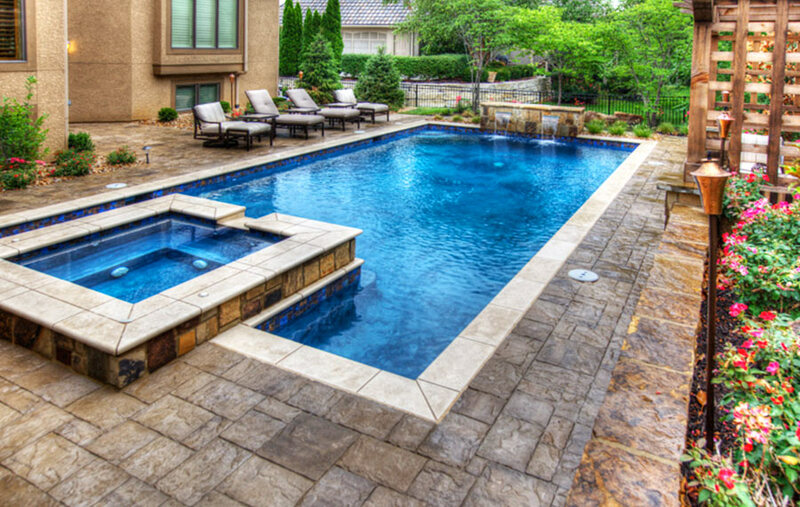 This beautiful property in Leawood, Kansas was a referral from a neighbor whose backyard we had designed the previous year. 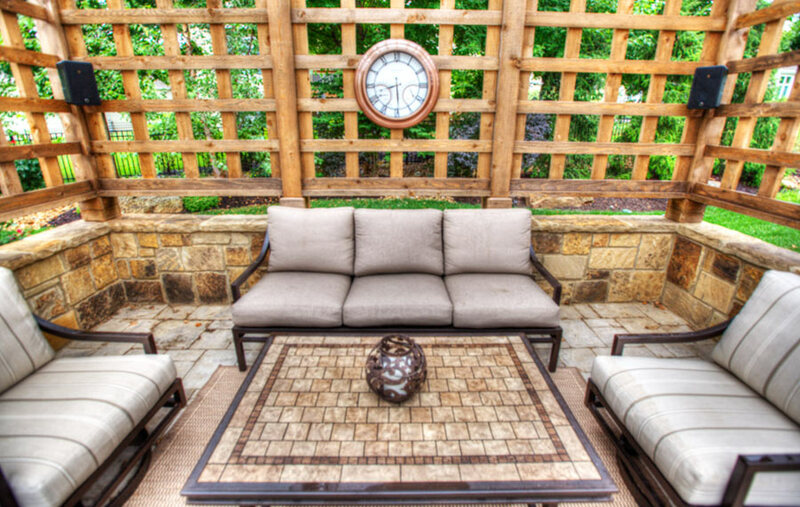 This family wanted to create an outdoor living space to match existing outdoor features. 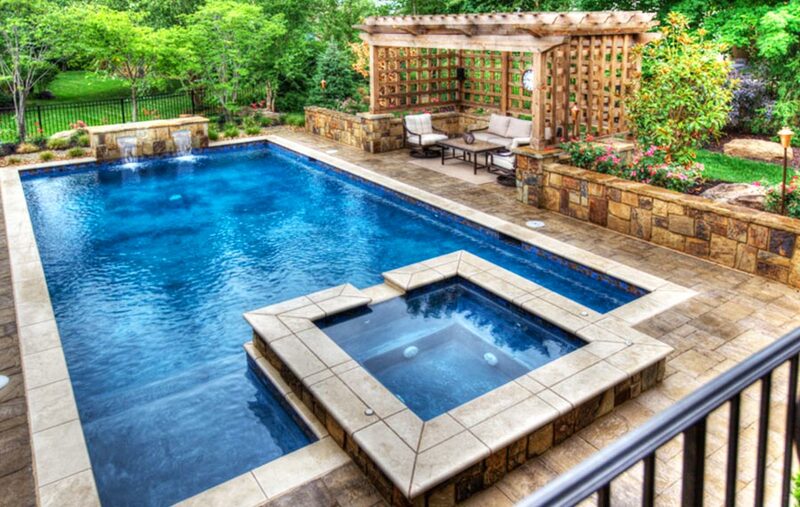 They also enjoyed swimming for exercise and wanted a linear shaped pool for that lap swimming. 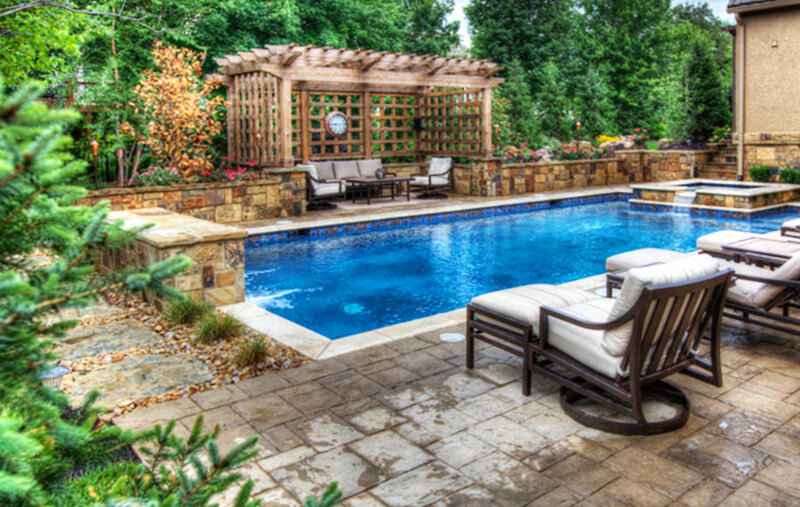 This backyard was a tight space with limited access to the property and no storage space for materials. Also, there were drainage issues that needed to be resolved. The owners were thrilled that we could work through the winter so their new backyard would be ready for use in the spring. Despite weather and logistical challenges, the job was completed on time and the owners were relaxing in luxury as the season changed and days became warm. 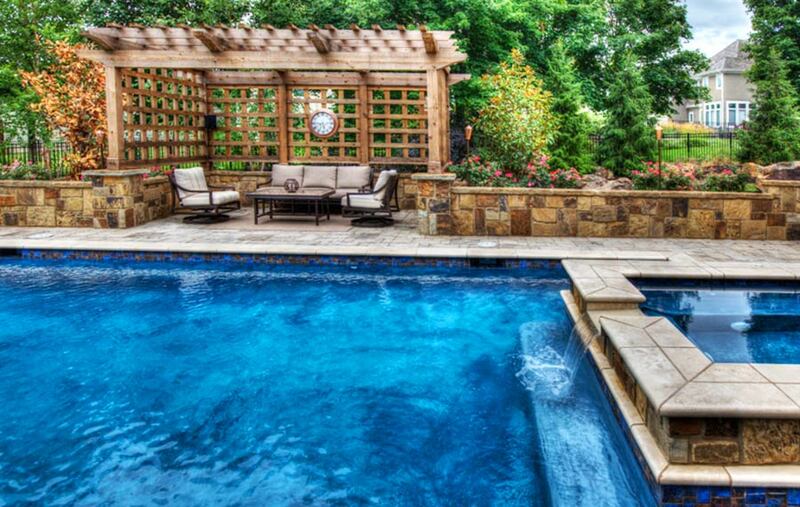 Now, this swimmer’s dream backyard blends seamlessly with the home’s exterior. 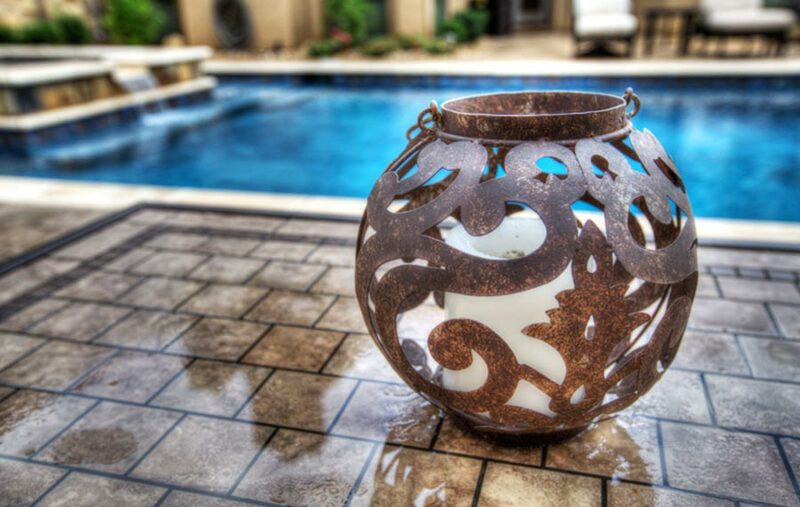 Beautiful walls and elevation changes guide drainage water away from the house and outdoor living spaces. The soothing sounds of the waterfalls are enjoyed throughout the property. 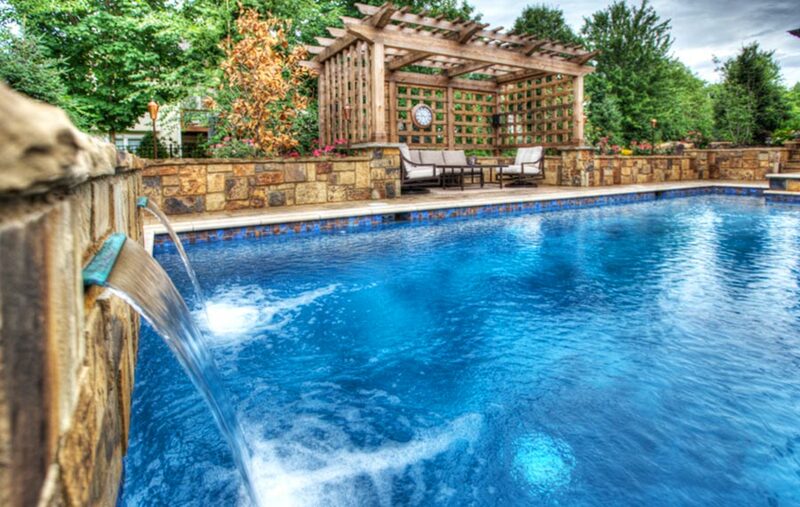 The poolside cedar pergola, equipped with fans and audio system make this space a true haven.